He may not be as well-known as Arthur Miller or Tennessee Williams, but William Luce has been a successful playwright for decades. He is credited with a specialty for one-person plays. His success in theater, brought him additional work in Hollywood primarily for television with his screenplays for CBS, The Last Days of Patton starring George C. Scott and Eva Marie Saint and The Woman He Loved with Jane Seymour. In his career, he has written one-person plays for actress Julie Harris including the heralded The Belle of Amherst. Other Harris plays include Bronte, Lilian and Lucifer’s Child. For actor Christopher Plummer, he wrote the 1997 Broadway play Barrymore. It was 1984, when his work Zelda premiered Off-Broadway starring Olga Bellin. Luce then re-titled the play, The Last Flapper, directed by Charles Nelson Reilly and starring Piper Laurie. Set in a mental asylum on the last day of her life, The Last Flapper is the reminiscences of Zelda Fitzgerald. Born to a socially prominent family in Montgomery, Alabama, beautiful and chronically rebellious, Zelda fell in love with a young World War I Lieutenant, Francis Scott Fitzgerald, who had dropped out of Princeton his senior year to join the Army. After the war, Fitzgerald journeyed to New York City to begin a career as a writer. 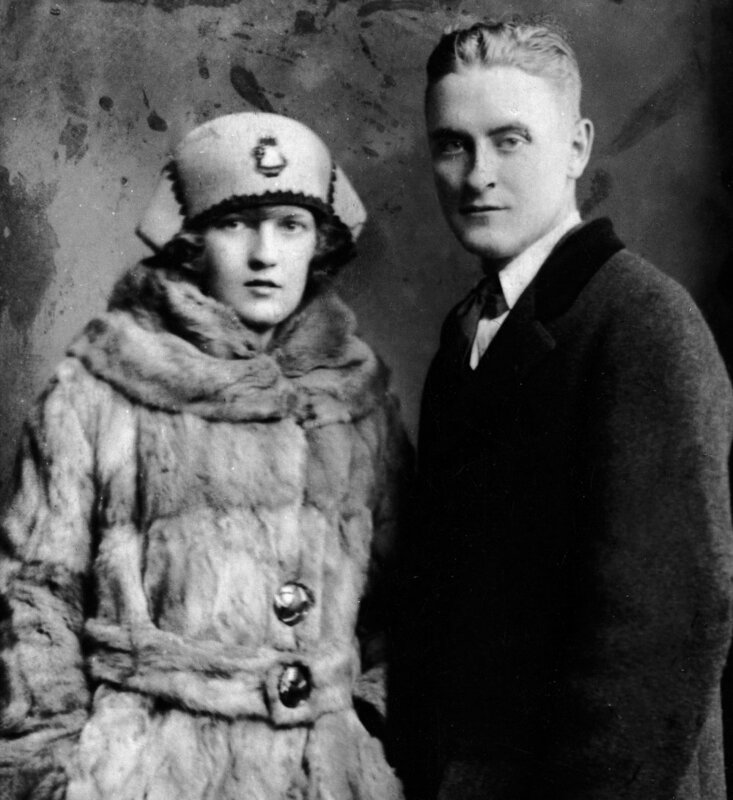 In love with Zelda, but with no money or success as a writer, Fitzgerald could not get Zelda to marry him. This all changed with his first major success of the novel This Side of Paradise. Zelda and Scott were married on April 3, 1920 in New York City at St. Patrick’s Cathedral. 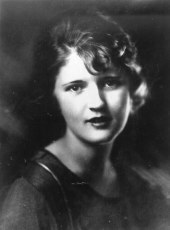 Zelda was to become Fitzgerald’s muse in many of his works. Fitzgerald called Zelda, “the first American flapper.” The 1920’s, or the “Roaring Twenties,” was decade of generational conflict, rural versus urban values, national rebellion against Prohibition, anger over the failure of WWI to bring about a more stable world, and a return to the morality and ethics of laissez-faire economics which brought out the worst practices of business, Wall Street and government. The Fitzgerald’s, like so many affluent youth, lived for the present and did not realize they were using up their emotional and psychological health. This is not the story of Scott Fitzgerald. This is the story of Zelda, beautiful, talented in her own right and vulnerable to mental illness that would have been obvious even in her youth. But, married to the insecure, temperamental and alcoholic Fitzgerald, her illness quickly manifested itself on a much larger stage. Eventually, she would be diagnosed with Schizophrenia and possibly bi-polar disorder. This was the era of the expatriation of American talent to Paris. Great artists went to associate with world artists such as Gertrude Stein, Hemingway, and Picasso and feel freer to work and create. The Fitzgerald’s went too and living on the French Riviera, Scott would continue writing his tale of Jay Gatsby and Daisy Buchanan. Once again, he modeled Daisy after his Zelda. The Great Gatsby, as many of his works, prophesized not only the history of the twenties, but it’s inevitable and dramatic end with the crash of Wall Street in the fall of 1929.